At various stages throughout the year we take a day out as a team to look at examples of great architecture. 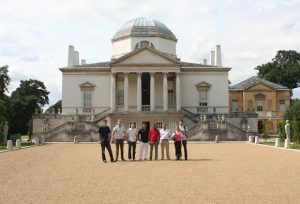 For this year’s summer outing we decided to head over to the recently refurbished and magnificent Chiswick House. Originally built by the third Earl of Burlington in 1729 as a home, a place to entertain guests and somewhere to show off his art collection, it has recently undergone a multi-million pound refurbishment. 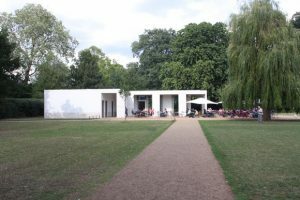 Both the house and gardens have been given some attention, including the building of a brand new cafe. The gardens are said to be the birthplace of the English Landscape Movement and inspired gardens such as New York’s Central Park, a bold claim indeed. 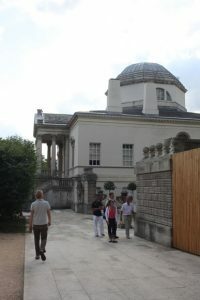 You can read more on the Chiswick House and Garden Trust’s website about both the house and the cafe and there are a few snapshots below too. For our team it was an opportunity to take inspiration from exemplars in architecture from Palladio and the more modern approach of architects Caruso St John.